Thank you for your interest in Churchill Baptist Church. Our prayer is that Jesus Christ would become more and more real to you as you worship with us. 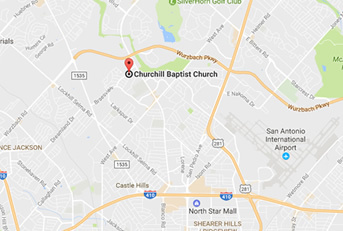 On our website, you will catch a glimpse of many of the exciting ministries that you will find here at Churchill Baptist. Our church is touching lives in so many ways, and there is a place here for you! If we can be of help to you or your family in any way, please let us know.